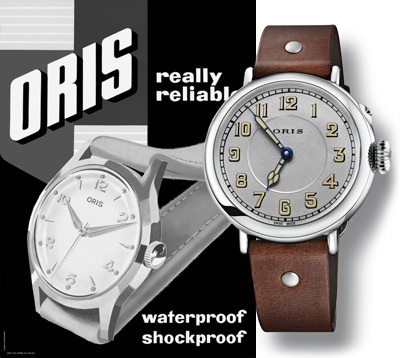 The Best Swiss Watches for Your Money - Oris | Valet. There's a reason why a Swiss-made watch is a mark of achievement for most men. The timepiece instantly conveys things about the wearer—from success and taste to intellect. And that's because these watches are more than mere time-telling tools. They are intricately machined instruments that take both precision and skill to produce. And let's face it, those don't come cheap. Which is why there's no shortage of brands that will charge you more than a paycheck (or two or three) for the privilege of owning one of their Swiss-made watches. That's where Oris is different. One of the most reliable and well-respected watch brands for those in the know, they've been producing high caliber timepieces in Switzerland for over a century. And they've always put a premium on value, making them a favorite for first-time watch buyers and serious collectors alike. and an Oris billboard from 1955. An Oris billboard from 1955. Founded in 1904 by pioneering watchmakers Paul Cattin and Georges Christian, the Oris brand was born in the foothills of Switzerland's Jura Mountains. Cattin and Christian's plan was to make high-quality mechanical watches using efficient industrial methods, which would allow for more reasonable prices. They quickly set about building a skilled workforce of craftsmen and state-of-the-art factories that would enable them to deliver these unique and in-demand watches. Two decades later, the company had factories on six sites, including a sophisticated electroplating facility establishing Oris as one of the world's most forward-thinking watch manufacturers. By the mid-1950s, Oris was one of the most advanced watchmakers in the Swiss time industry. 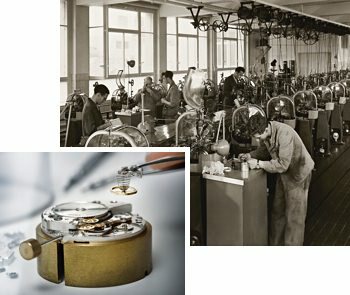 Apart from a few hands, hairsprings and jewels, the company produced every watch component in-house. To this day, Oris only produces mechanical watches. You won't find a single battery-powered watch in its workshop. And over the years, more and more innovations followed. Take the new Oris Big Crown ProPilot Worldtimer for example. 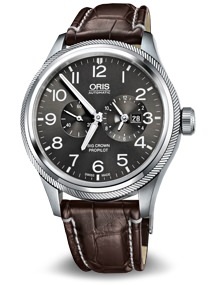 It features a unique bezel-adjusted world time system that was developed in-house at Oris. It's an update to the Oris Worldtimer launched in 1997 and now marking its 20th anniversary. The original watch featured plus and minus pushers on the side of the case that when pressed adjusted the local time forward or backwards in one-hour jumps, without the need to pull out the crown or stop the running of the watch. Now, the pushers are gone and the time is adjusted simply by rotating the bezel. 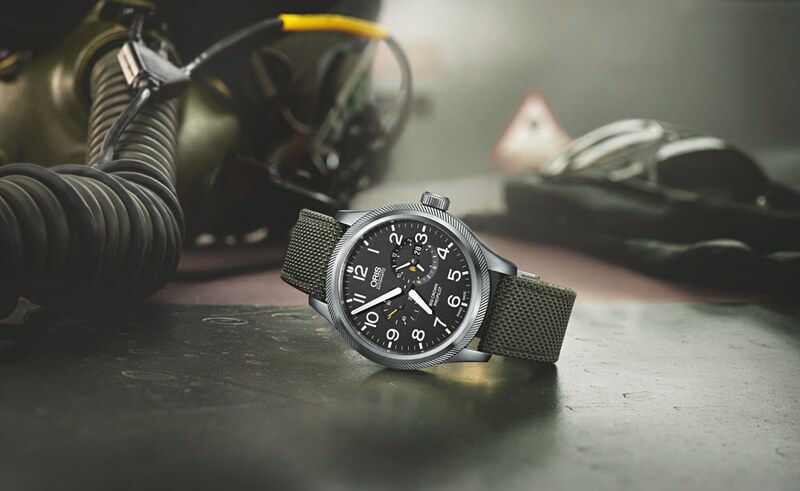 It's one of the most handsome and innovative designs in the brand's fabled history, and is an indicator of Oris's commitment to both the latest advances in technology as well as traditional craftsmanship. Of course, what truly sets Oris apart from other watchmakers is that these high caliber watches aren't precious heirlooms meant to be stored away and brought out on special occasions. These are hard-wearing watches—refined but rugged—that are built for real men, inspired by the worlds of aviation, culture, diving and motorsports. They're expertly crafted to be worn everyday, in all sorts of situations. At the peak of its production in the late 1960s, Oris was making 1.2 million watches a year.